Since 1936, Airstream has been building uniquely shaped travel homes. The company has used aluminum in their construction since the 1950s, but the latest model is the first one to have a fiberglass body. The 3,400-pound back-entry Nest is 16 feet long and comes with a sliding screen door, skylight, wet bath, toilet and a complete galley with stainless steel sink and microwave oven. The dining area converts into an extra-wide bed with foam mattress. There’s also a power-operated patio awning with built-in LEDs. The Nest sells for $45,900. 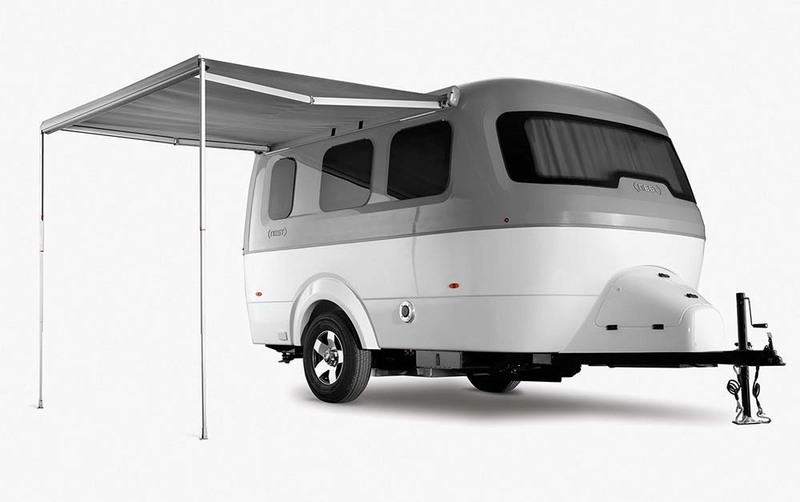 Check it out at www.airstream.com.